As long as events that affect human lives such as crime and terror continue to threaten us, our security needs will be increasing day by day. While security officers at different sites are feeling safer with the existing security measures, two important security elements, Walk Through Metal Detectors and Hand Held Metal Detectors are complementary components for our safety. 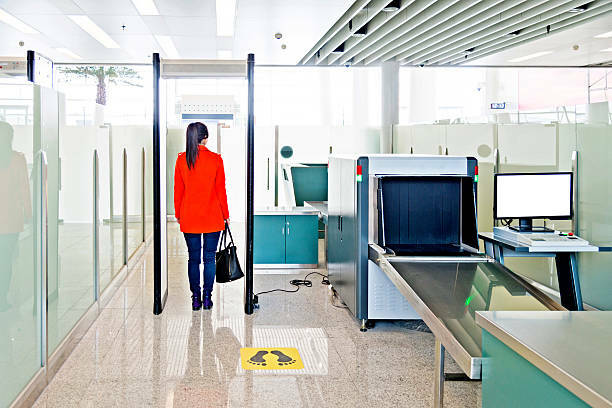 Security officers are able to provide better control of passageway security in crowded environments thanks to these metal detectors. Sometimes people would go for second hand detectors option while purchasing security metal detectors. Second hand detector prices may look better for you and you may think that buying a second hand detector is more profitable. However, long-term use causing damage to second-hand detectors is highly possible. These types of devices may turn out to cause more expenses rather than profit. First of all, second hand detector would not have a warranty or guarantee. Due to it being a second hand item, the detector will probably have scratches and cracks caused during the long time usage and will only be there as a show off. Second hand detector sales are also unfortunately the goal of some suppliers for profit purposes only. Because of that, when you try to fix the broken down second hand detector you may end up purchasing spare parts at a high cost, sometimes from unknown sources. So both your time and your money may be wasted as your expenses are likely to pile up with the use of a second hand detector. Elektral A.S., the manufacturer of ThruScan Metal Detectors, offers you 2 years manufacturer’s warranty, service support for walk through metal detectors and hand held metal detectors which have complete official documentation from various authorities. The WTMD’ and HHMD’s that we produce provide security to people for over 40 years. Gendarmerie in Turkey, Ataturk's Mausoleum, many official institutions, which prefers ThruScan Metal Detectors such as the Ministry of National Defense, are exported to more than 60 countries. If you want to get professional support from a specialized team in the field of metal detectors, at Elektral A.S. we offer ThruScan Metal Detectors which guaranteed, after sac mentation.